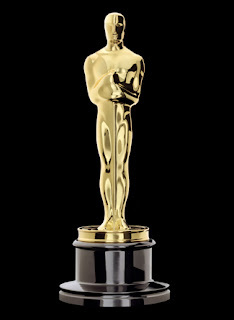 Science Fiction Geeks - Scifi News: Full list of Scifi Academy Award (Oscar) Nominations - Avatar tied for most with 9. Full list of Scifi Academy Award (Oscar) Nominations - Avatar tied for most with 9. James Cameron's blockbuster Avatar, and the South African sci-fi film District 9 were nominated for best-picture for the 82nd Academy Awards. In fact, Avatar tied for the most nominations, receiving 9 while District 9 got four. This year's Oscars, which will air on TV on March 7th, features 10 nominations, up from the traditional 5 movies. Avatar can't win best makeup because the Nav'i refused to waer it.